Son La, Vietnam, 9 settembre 2010: un saldatore si protegge il viso dalle scintille con un foulard colorato. 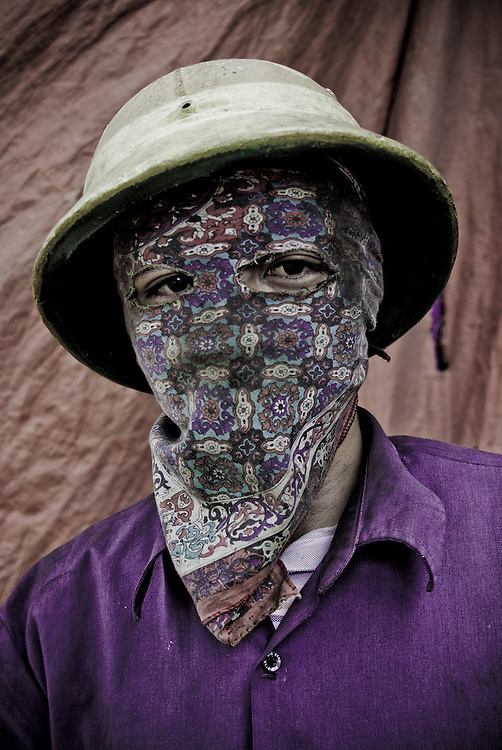 Son La, Vietnam - September 9, 2010: a welder protects his face from sparks with a colored scarf. image images picture photo photography fotografia fotografie foto reportage photo reportage photo reporter photo essay stories features reportage photography reportage photographer documentary photographer documentary photography editorial reportage photographs photographs image images picture pictures photo photos project photoproject photo project travel photography travel photographer travel pictures travel images travel photo essay travel photos fotografo a milano fotografo milano fotografo milano centro fotografo lombardia fotografo "fotografo a milano" "fotografo di milano" "milano fotografo" "milan photographer" "photographer in milan" "photographer in bergamo""photographer milan" "photographer milano" "photographer in milano" "italian photographer" "photographer in italy" "photographer in lombardy" "fotografo a como" "fotografo a pavia" "fotografo a bergamo" "fotografo a trieste" "milan photographer" "photographer in milan" "photographer in bergamo" "photographer milan" "photographer milano" "photographer in milano" "italian photographer" "photographer in italy" "photographer in lombardy" "fotografo a como" "fotografo a pavia" "fotografo a bergamo" "fotografo a trieste" "photographer trieste" "fotografo di milano" "fotografo a milano" "photojournalist in milan" "corporate photographer" "event photographer" "fotografo di eventi" "fotografo di eventi milano" "photographer in bergamo" "photographer in trieste" "event photographer milan" "milan photographer"